Chicago, Illinois – January 13, 2017 – We are excited to announce that our US team will be attending the GDC Conference in San Francisco this year (February 27th – March 3rd). 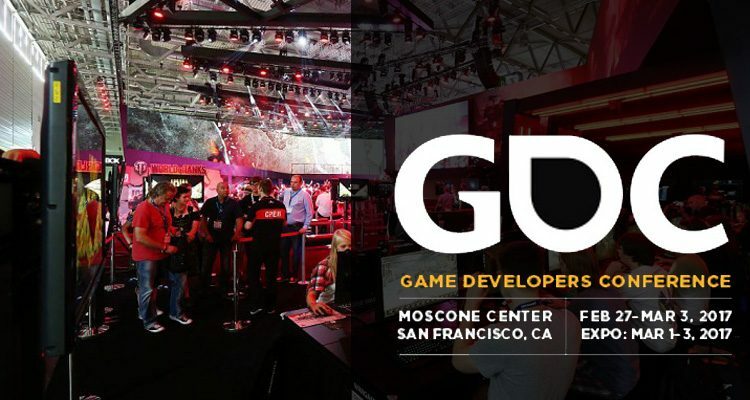 GDC is the Game Developers Conference which is the world’s largest professional gaming industry event. GDC attracts over 27,000 attendees, and is the primary forum where programmers, artists, producers, game designers, audio professionals, business decision-makers, and others involved in the gaming industry and virtual reality gather to exchange ideas and create innovative products for the future of the industry. This conference features over 500 lectures, panels, tutorials, and discussions on a wide-ranging selection of game development and VR (Virtual Reality) topics taught by leading industry experts. Cultivating a variety of game localization solutions to fit any situation, EC Innovations thought it would be a wonderful opportunity to network with our clients, friends, and prospects. Game localization has its own set of challenges and at ECI,we look forward to readying any and all games to be accessible on a global scale. Much more than just translations; localization, globalization, and cultural adaptations are all part of a successful international launch of any game. Additionally, the rise of the mobile market these past years has added another dimension to the growing gaming market. A fast, multilingual delivery of assets is indispensable and at ECI, we are ready to help you reach your audience. Why choose EC Innovations as your language service provider? • Native-language translators to provide reliable translation services. • A professional and customized game localization team with a passion for games. • A lean/agile localization process ensuring high quality and on-time delivery of assets. • Flexible tools to enhance consistency and accuracy of translations. • Glossary and TM (Translation Memory) creation and maintenance, based on client needs. EC Innovations works with a dedicated team of seasoned linguists who are also avid gamers to ensure that your game will be a success in any market you choose. Feel free to email USA@ECInnovations.com to book a time with one of our reps. We hope to see you there!